Large cruise ships in Turkey as well as anywhere else in the world make routine stops at fabulous destinations. However, these stops are often far too short and leave any adventurous traveler wanting more. If you do decide to revisit Turkey, might we suggest that rather than booking hotels along the Turquoise Coast, for example, book a traditional 3-day, 4-night gulet cruise with Alaturka Cruise that takes you to the best sites to see, all while providing accommodation and delicious food. These boats are made to fit a traditional design but have been melded with modern comforts of a small cruise ship that feels homely and relaxing, all while including a bit of adventure along the way. The cabins are compact compared to hotel rooms of the same quality, but offer comfortable sleeping area with some storage space for luggage. As you move up to the more expensive end of the scale, luxury gulets offer larger rooms with seating within the room itself. Most rooms are decorated in a traditional polished wood with a little Turkish colour added in to make it feel like a home. One of the main attraction to these types of cruises is that they can be the holiday itself but also can be part of a holiday. Some choose to do these trips at the start or the end of their holidays to travel between areas to experience as much as they can but without tying themselves down to a single holiday type or location. 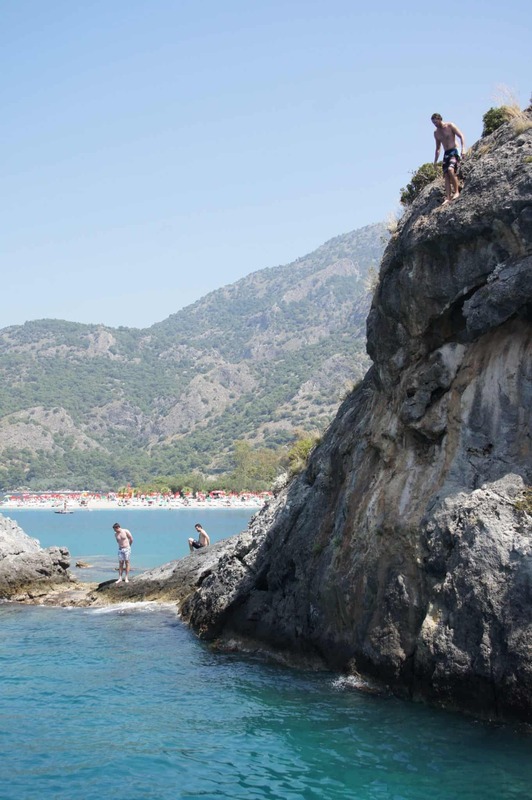 Seeing a port town such as Fethiye and its surrounding attractions like the famous Oludeniz beach and then being able to sail to Olympos and stay in a tree house just outside the ruins is a great combination for a fantastic holiday. The cruises themselves take pride in showing only the most interesting or beautiful locations as you sail along the Turquoise coast. Butterfly valley has been a famous spot to visit for many years now due to its seclusion and ideal location only reachable by boat. As these cruises journey to many of small islands that have untouched natural beauty, it is possible to take a swim in some of the bays. These areas have become popular with divers and snorkelers as there are many types of small shoaling fish as well as endangered Loggerhead Turtles. Some areas have an unusual blend of natural and historic beauty. St. Nicolas island which is becoming more popular with each passing year, is the alleged resting place of St. Nicholas, or Santa Clause as he is more commonly known. This island has ruins from the buildings put in place by St. Nicholas that were once used as refuge for travelers. 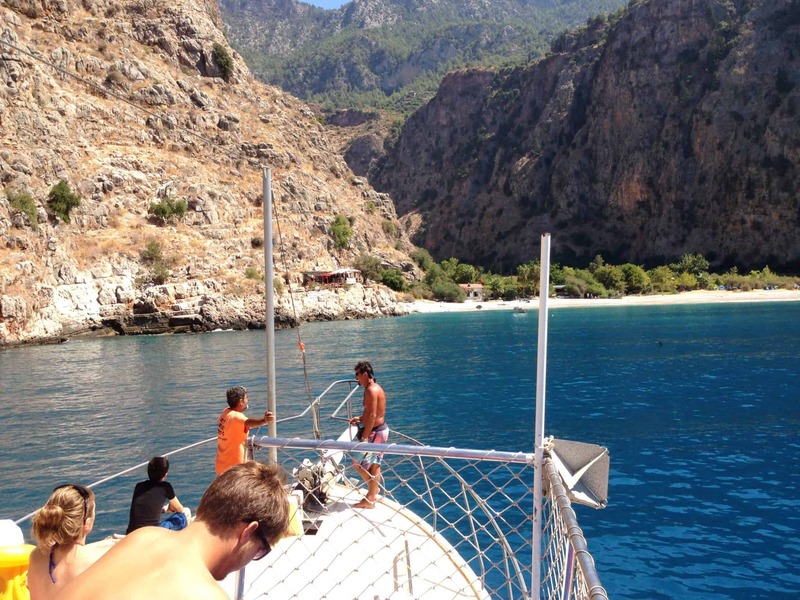 Sailing along the Turquoise coast is an amazing experience and your crew on board are sure to make you feel at home. Your days will start with a traditional Turkish breakfast, a collection of fresh seasonal fruits and some light vegetables along with some cheese and preserves, served with fresh bread. Lunch is usually a light barbeque with salad. The evening meal is normally grilled fresh fish as well as some meat cooked over the coals, with a selection of homemade mezes. These kinds of meals are traditional but also full of flavour all the while leaving you very satisfied. These cruise boats are not the ocean liners others might wish for but are often much more enjoyable as they allow for a more personal experience as well as more freedom to the journey, all while going places that the large cruise liners do not reach.